Chester Englander is deeply committed to the education of today’s student percussionists, and is Head of Percussion Studies at Cleveland State University. He has over 15 years of experience teaching students from early elementary school beginners to young professionals. He has helped students successfully prepare for youth orchestra, college, and professional orchestra auditions. Former students have gone on to study at the Conservatoire de Lyon, The Colburn School, Indiana University, the San Francisco Conservatory, and the University of Southern California in addition to several high-profile music festivals. Cleveland State University has terrific practice facilities paired with a world class instrument collection, and details can be found here. 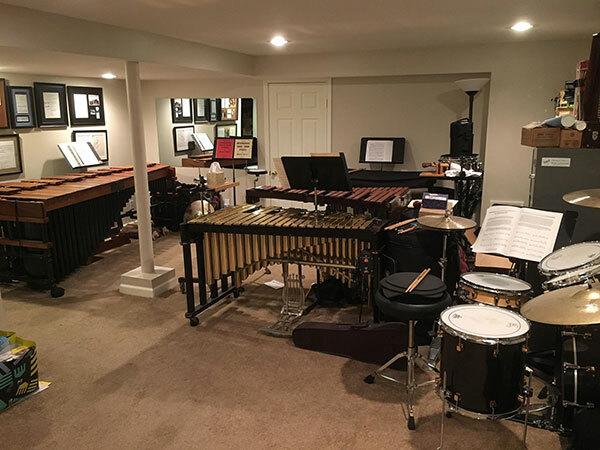 At his private studio, he has a large world-class orchestral instrument collection, including an antique Deagan xylophone and glockenspiel, a five-octave Marimba One, and an antique Musser vibraphone. In addition, he has a drum set and a wide selection of Afro-Cuban percussion instruments. Chester was invited by the Creative Kids Education Foundation to make some instructional demonstration videos for their website, ClassicalChops.org. He was also interviewed about a variety of topics related to becoming a professional percussionist. ClassicalChops.org is a terrific resource for young musicians to get tips and advice from a variety of musical mentors.